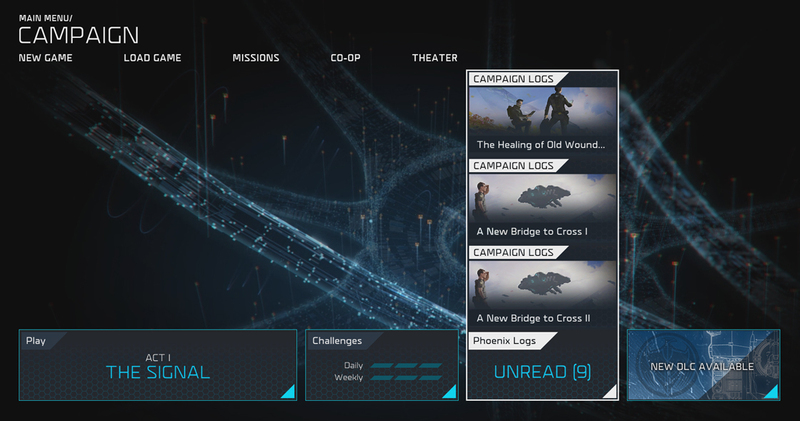 Similar to its predecessor’s collectible Black Boxes, which unlocked Timeline entries in the game’s menu, the Halo Wars 2 Phoenix Logs are accessible from the game’s campaign menu and contain codex entries that are unlocked by both feats of completion as well as collection. These entries cover a pretty wide swath of units, characters, and other yummy universe-related tidbits. You’ll learn everything from details on function to yet-unrevealed backstory bits, so get ready to jump in and start collecting them all! 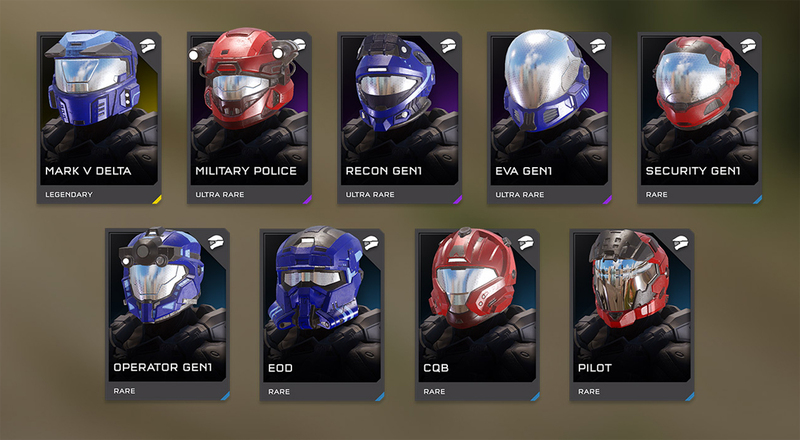 Back when we unveiled the Monitor’s Bounty content release for Halo 5: Guardians, we also teased an additional salvo of highly requested items slated for early this year – a collection of classic Mjolnir helmets with which to adorn your personal Spartan with, all fully compatible with the latest GEN2 platform. With the availability of these delightful domes fast approaching, we thought it would be fun to showcase the lore behind the lids. So, here we go! MARK V DELTA helmets are sourced from a cache of SPARTAN-II materials uncovered at the Seongnam Special Warfare Center. A few are even etched with the hand-carved ID number of Spartans long-since marked MIA. Previously available only to Beta-5 security teams and select Army rapid-reaction forces, MILITARY POLICE helmets have found a home with Spartan-IV fireteams that require its hardened uplink, command network module, and remote sensor controller. 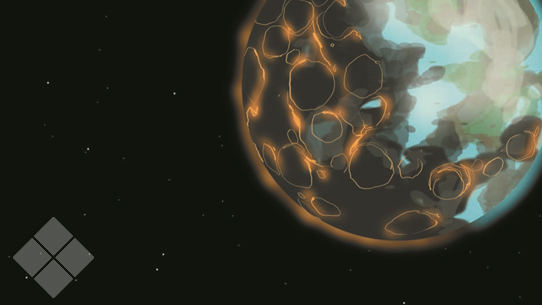 ONI teams responsible for information sanitization operations on Created-occupied Earth have access to cutting-edge stealth and cyberwarfare suites. Among these tools are upgraded and up-armored RECON [GEN1] helmets custom-made for individual operatives. Few Mjolnir designs can claim to have spun off as many sub-variants as the EVA [GEN1]. The enduring popularity of the design is a testament to its reliability, ergonomics, modularity, and tradition of craftsmanship by Materials Group. Asymmetrical Action Groups are cross-branch special forces teams that deter, disrupt, and defeat novel threats to the UNSC. Forced out of the shadows, the OPERATOR [GEN1] helmets worn by these specialists has become available in limited numbers. The unique combination of safety and life support features in the EOD helmet make it an optimal choice for Spartan assault divers and pioneers who undertake demolition roles. That it also mitigates the risk for decapitation is a bonus. Beweglichrüstungsysteme houses the results of its decades-long work with reaction enhancers and predictive movement algorithms in the protective armored shell of battle-tested CQB helmets. Spartan pilots wear flight gear similar to those used before augmentation. Spartan PILOT helmets feature an integral hardened uplink module and classified updates to the UNSC Air Force-standard machine interlink firmware. 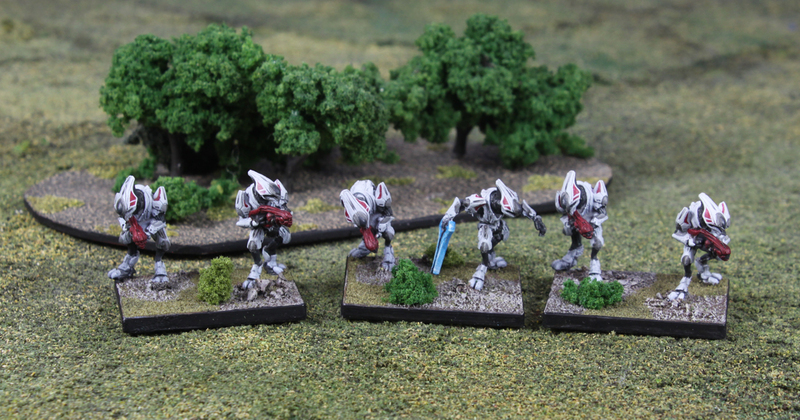 Last week we covered some of the recent releases for Halo: Ground Command, and now we get to show off a sneak peek at upcoming products that we can’t wait to get into the hands of collectors and gamers. Adepticon is one of the largest wargaming conventions in North America, and this year it takes place in March. Of special interest for Halo fans is the Halo: Fleet Battles engagement on Mar. 23, and the Halo: Ground Command event on Mar. 26, so be sure to drop by and check that out! We provided some extra goodies for the winners and participants (shown here), so thank event staff Josh Linde, Doug Ummel, and Vincent Gregory for reaching out to us at the studio! And a huge special thanks to Spartan Games for supporting this tournament and players! 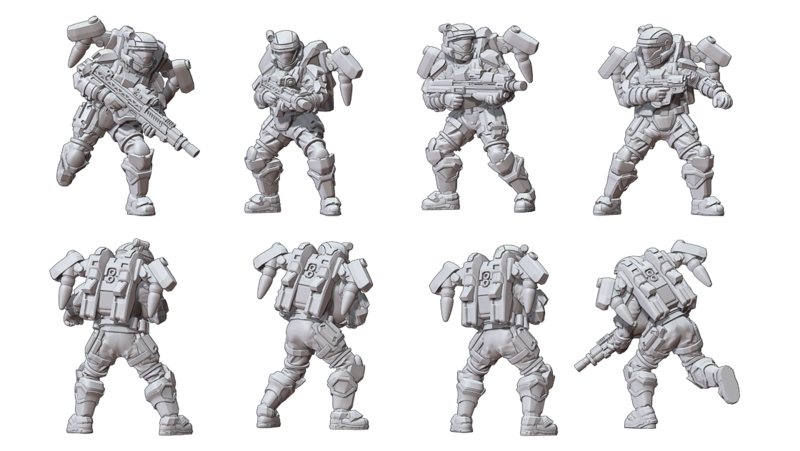 This week we get to show off two units that haven’t been released yet, the vicious Elite Ultras and the specialist jet pack troopers of the ODST Air Assault teams! Ultras – one of my absolute favorite alien units in all of the Halo universe – were among the first Elites you encounter during the Halo: Reach campaign, and who can forget jumping between New Alexandria skyscrapers with the Bullfrogs? To celebrate the upcoming release of each of these awesome entities, let's take a look at some sweet new deeper fiction. Plus, if you haven't gotten around to picking up Halo Mythos yet (what are you waiting for?! ), you might not have yet blessed your poor deprived eyeballs with this incredible piece of art from artist Leonid Kozienko. I love it so much – quintessential Halo if you ask me! 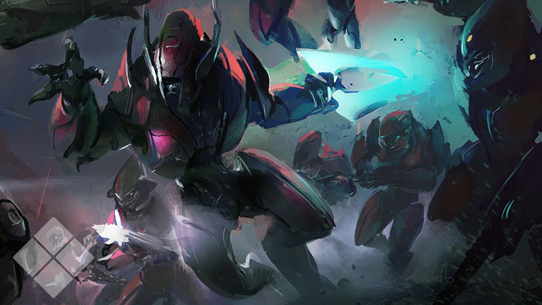 Sangheili Ultras are skilled veterans used to execute high-priority missions for the Covenant. Their distinctive coloration and exotic armor design from Halo: Reach leaves a strong impact and makes them one of the most iconic enemy types in the Covenant. They are particularly striking on the tabletop, and the fact that they are all armed with Concussion Rifles will certainly put UNSC opponents on the backfoot! 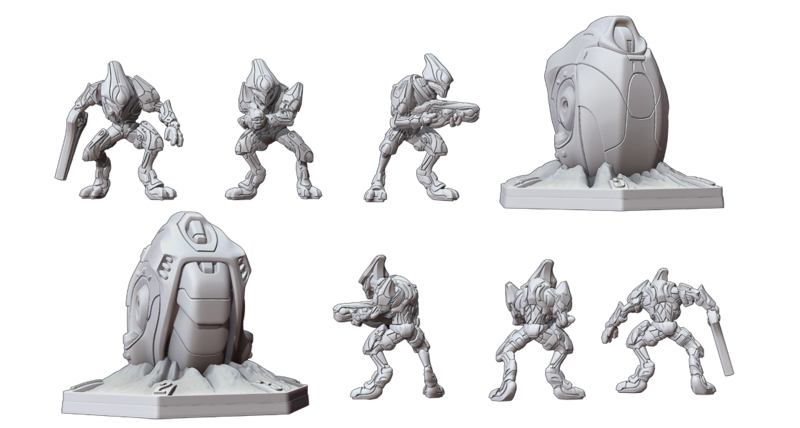 The Ultras are in the top five list of favorite Halo units, and getting the chance to work on a miniature representation of them was very exciting. Despite their somewhat diminutive size (though they tower over the ODSTS) our franchise concern was always to ensure that the Ultras kept aggressive, almost feline combat poses and that they convey a sense of subtle menace on the tabletop. As you can see, they nailed it. And Spartan even went the extra mile to create a 3d insertion pod! The Evocati, or “Ultras” as human forces know them, are veteran warriors who have demonstrated the highest standards of military proficiency, teamwork, honor, and devotion to the Covenant. These Sangheili display exemplary martial aptitude but lack the inclination or desire to follow the path of leadership and mentoring. Instead, they find the apex of their warrior career as an Ultra, crowned with glory and guaranteed a position of honor and respect in their family archives and record vaults of High Charity. Few remain at this pinnacle for long, and Sangheili promoted to Ultra are expected to take up honorable posts as seneschals, tread the path of political warfare as a Councillor, or return to their Ministry to train the next generation of warriors. Ultras are among the deadliest Sangheili infantry available to the Covenant warhost commander, their alabaster combat harnesses marking them as combat specialists able to execute missions for which failure is not an option and defeat unthinkable. Their high cost is justified by their firepower and ability to deploy from low orbit to the battlefield using insertion pods before charging into enemy lines. Carefully consider how and where you will deploy Ultras, or risk drawing the Supreme Commander’s ire if they are expended needlessly. Ultras rarely answer to the warhost commander to which they are attached, though some degree of cooperation and synchronization is necessary to achieve their mutual goals. Ultras elect delegates from among their ranks to take on this responsibility before each deployment, and swear binding oaths to obey their commands until all objectives are completed. These Ultra “officers” hold no official leadership position in the Covenant hierarchy and are not Obedientaries, but they are acknowledged as subject matter experts in the art of war and wield real authority on the battlefield. In human terms, they are equivalent to a Warrant Officer, selected for talents and knowledge which complement the tactical objectives at-hand. The Ultras are a brotherhood of warriors born, devoted to skill in arms and little else. Those who lead do so from the front, energy blade clenched in hand and plasma grenades primed. ODST Special Purpose Forces are deployed where their additional training and equipment allows them to tackle unique and challenging environments. The ODST urban warfare specialists known as the Bullfrogs were one such team, deployed to the surface of Reach to conduct raids and direct action strikes in the concrete and metal jungles of New Alexandria, attacking unsuspecting Covenant forces from the skies with the use of jet packs. We’re picky when it comes to ODSTs, and our Consumer Products team eyeballed every buckle and boot to ensure consistency with the Bullfrogs you see in Halo: Reach. Nicknamed “Helljumpers,” Orbital Drop Shock Troopers (ODST) are the rapid reaction force of the UNSC Marine Corps, and are best known for their capability to deploy from orbit in meteoric descents using individual drop pods. Every ODST team’s loadout is tailored for a specific mission and task, and each operator is proficient with a wide range of weapons, sensors, and mobility systems optimized for hazardous and difficult environments. Operations in the dense, vertically integrated urban centers and rugged, undeveloped frontiers of Earth’s colonial holdings are particularly challenging, and specialized ODST teams can drop in carrying jump-jet packs that allow them to more easily navigate three-dimensional jungles of metal, rock, and vegetation. These ODSTs proved their worth in the defense of Reach, securing evacuation areas in New Alexandria and harassing Covenant forces in the rugged mountains outside Manassas to the last round of ammo and final drop of thruster fuel. ODST Air Assault units have deployed from their pods or dropships and equipped jet packs that allow quick thruster-assisted travel via a series of bounding jumps (or “bounces” in Marine slang) that can clear buildings and terrain features. Full flight (albeit clumsy and slow) is possible, but not tactically useful. Make use of the jet pack to cut off enemy troops, disengage to move behind cover, and quickly secure objectives. ODST officers lead from the front and command their troops with acts of bravery and combat proficiency, for Helljumpers are not impressed by authority wielded without competence, nor are they cowed by threats of administrative punishment. Leaders who can wrangle these men and women are a rare breed and highly valued, yet the utter lethality of their missions mean the life expectancy for ODST officers is demoralizingly short. Though they accept the grim statistics, ODSTs are immensely proud of the fact that most of their officers rose from within the ranks, inspired by the heroism and sacrifice of officers who came before, and willing to serve despite the odds. ODST Air Assault Officers are veterans of the long war against the Covenant, and they remain utterly committed to defeating the Covenant and saving as many human lives as possible, even as Reach burns. 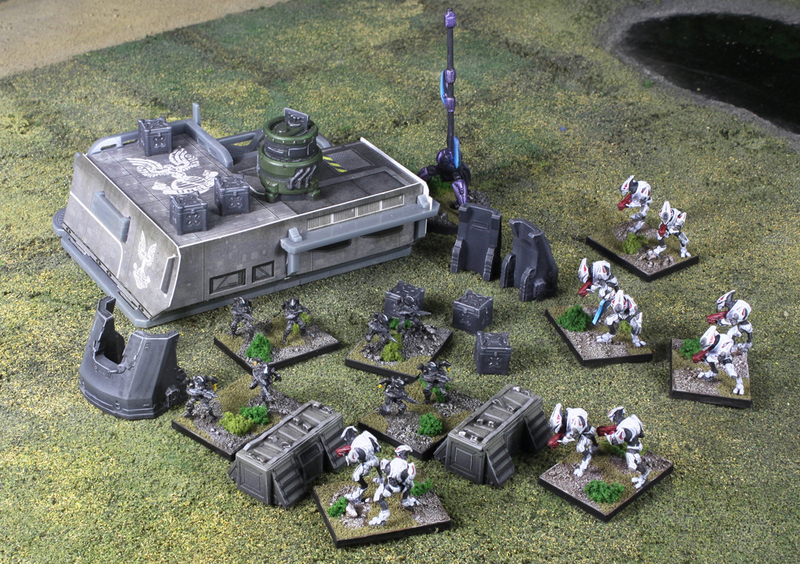 They stiffen the resolve of the already-formidable ODST Air Assault unit, as well as add additional firepower. Back in Issue 93, we chatted with several of the talented creative minds (and eyes, hands, etc) behind our recent graphic novel anthology, Halo: Tales from Slipspace. Since then, we’ve also had a chance to catch up with a few more – specifically Alex Irvine (author on “Something Has Happened”), Jonathan Wayshak (artist for “On the Brink”), and Kody Chamberlain (author and artist for Fireteam Majestic Poker Night). With Halo Wars 2 just around the corner, the graphic novel anthology is a great piece to pick up for a couple of nice primers on the setting for the upcoming RTS. The creative collaboration brought together some talented and passionate folks, and we always enjoy getting to bring some of their perspective on the process out into the open. Read on! Q: What was the process like for creating for an anthology series with such a large and diverse group of creators? How did you come to work on your specific story or with your creative team? ALEX IRVINE: I’d been talking with the Dark Horse gang about some other projects when this one came up – and who doesn’t love Halo?! Anthologies are always fun because you get to see different creators expressing themselves. I personally worked on this particular story because it was an open question from the end of Halo Wars that fascinated me. I’ve always liked stories about how people deal with the huge time scales of interstellar travel, and ever since I saw Alien when I was a kid, I’ve also loved the “monster-on-the-ship” story. So, when I had a chance to do one of those, especially one set in the Halo universe, I jumped at it. JONATHAN WAYSHAK: Working with comics, you are often working on your own and you don't really have much interaction with the rest of the creative team. So, in that respect, it did not affect my approach at all. It was all about trying to do justice to a really great story. KODY CHAMBERLAIN: The Halo universe is absolutely massive. Thankfully, I was approached with a few seed ideas from the creative minds at 343 that were offered up as possible starting points. Essentially, it was a list of a dozen or so story seeds they thought could be fun to expand upon. I honestly love that kind of stuff. It's a great challenge to grab that chunk of grass and pull it to find out if there's a nice juicy carrot underneath. I found a few on the list I really liked and then dug deeper to find something that really spoke to me, or an interesting angle where I could make it my own. Thankfully, they loved my take on the 'poker night' idea and I was able to build a fun story link between the DeMarco and Thorne storylines; my take on the idea of passing the torch. 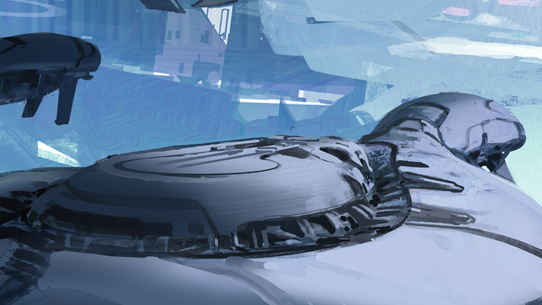 AI: It was easy, really – the team at 343 and the team at Dark Horse were great to work with. I can’t praise them highly enough without embarrassing myself. JW: For me, I generally approach all comic projects with the same process. What was different about this piece was the amount of research I had to do on the different weapons, vehicles, and armor. Some of the armor for the different members of the Blue Team were particularly complicated, so that was a challenge, but by the end of the story, it was all second nature. I only wish I could have drawn the characters some more! KC: Honestly, the biggest challenge was the page count. I'll typically work on books with a hundred or more pages to tell a single story, so a big part of making this work was crafting an idea that could be told in this particular [shorter] format. That's also actually one of the primary reasons I agreed to do the book. As creators, these are the kinds of challenges we love to take on. It may not look like it on the surface, but a short story in comics is actually quite tricky. You have to find efficiencies and tight story beats that work – and not everything works. It's extremely difficult to do well, and I was fully impressed by the quality of the other stories in Halo: Tales from Slipspace. The batting average is very high. Obviously, a big part of that is the Halo world and all the great work that's already built into these characters and storylines. There's a lot of subtext and history to tinker with. Q: Were you already a fan of Halo before this project? Were there any concerns about contributing to such an established and beloved universe and franchise? JW: I wasn't really worried about working with an established property like Halo. While I didn't play the earlier games, I was familiar with the universe because I worked on quite a few of the television commercials since Halo 3. For this story, I wanted to get a better feel for Halo in general, so I bought Halo 5, and ended up absolutely loving the game – I actually managed to get up to Onyx in FFA! KC: I'm a casual gamer and I've played several of the Halo games for Xbox 360, but I was certainly not a historian of the storylines. There's so much going on in this universe, and can be pretty challenging to keep it all in context. With this in mind, I did a ton of research and watched a lot of video game play and cutscenes to get my head around the pieces I'd be using in my story, and even then, it's still a lot to digest! My early draft of the script had a few things that needed to be reworked, largely contextual things in the Halo world, questions, and research that 343 and Dark Horse were able to help with. I got great notes that helped immensely. It's one of the benefits of working with Dark Horse and their deep commitment to keeping the game developers involved with editorial. 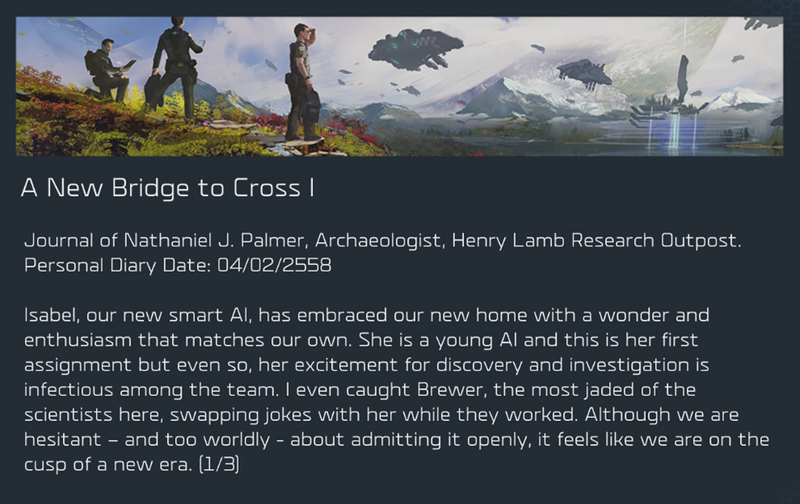 AI: I love grand-scale space opera storytelling, and Halo of course has that in spades. 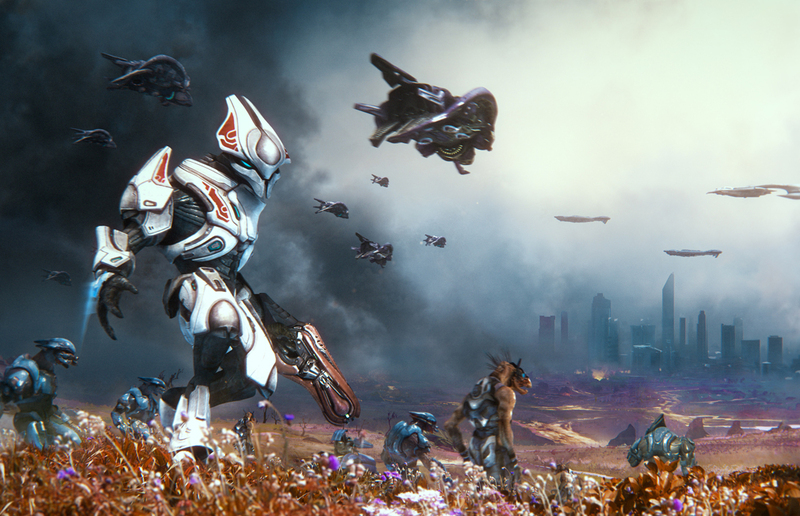 The clash of civilizations is always riveting too, and the Halo storyline pushes into some interesting questions about not just the war between the Covenant and humanity but the internal tensions that arise within the Covenant and its various factions. That’s what draws me into the Halo universe more than anything else. JW: I love the Spartans and the military aspect of Halo. Especially Master Chief. I think there is so much potential with those characters - endless possibilities, really. KC: Halo works best for me when a team functions as a family. My dad was a Marine that served in Vietnam, and I've got plenty of family currently in the military or retired. There are things that happen in military families that can be hard to relate to for people that haven't experienced it, but the concept of 'friends as family' is universal. It's the part of that lifestyle most people can find in their own lives to some extent, but for people in the military, your friend is your teammate, and trusting and relying on your teammates can mean life or death. It's a powerful thing, and that mindset can often get passed down to the children and grandchildren of military families – I've certainly found that in my own life. Most of my very close friends are considered part of my family. I see some of that in Halo as well, and it's the part that speaks to me as both a fan and as a writer. Q: Typically, the video games deal primarily with more well-known characters of the franchise. What challenges did you face trying to build stories with lesser-known characters? AI: In such a big story universe as this one, there are always little loose ends and empty spaces. I know for me as a fan, I get curious about them and imagine different possibilities for how they might be filled in, and I think lots of other fans feel the same way. When you get invested in a big story, you want to know more about everything, from the lead characters to the mysterious little side stories that spin off into unexplored parts of the universe. So, when I was thinking about what story to write for this book, the Spirit of Fire immediately popped into my head and everything fell together pretty quickly from there. I saw it as more of an opportunity than a challenge, because Serina is a compelling character and the story of the Spirit of Fire’s sacrifice also grabbed me from the beginning. JW: I liked it. I actually think Halo works really well with Master Chief as a background character. The supporting characters are interesting enough to carry the stories on their own, and I'd like to see more stories told in this fashion. I also enjoyed drawing Spartan Kelly's armor – I love her helmet. KC: In some ways writing a lesser known character is liberating because there's typically less continuity to track and manage in the storyline. Having said that, besides Master Chief, I'm not really sure what's most popular with other players because I just pick up games and I play them; I don't really follow game reviews or Reddit or anything like that. I just mainly know the stuff that is spoken to me while I played, my own experiences. I had a pretty good memory of the DeMarco/Thorne energy sword exchange, and it was something I wrote down very early in my notes for consideration. For whatever reason, that particular moment stayed with me and it was something I knew I could work with. Last week, we weren’t the only ones in on the art-revealing action, as we also enlisted the assistance of a few dedicated community canon-heads to help us spread the word – if you haven’t seen them yet, make sure you do so right here. If you like what you see, make sure you subscribe (I know I already have!) and contribute to their discussions! Phew! Dazza lotta stuff. We’ll be back at least one more time before the game launches, so stay tuned for more delicious details as humanity’s return to the Ark approaches. See you then! Until next time… Live well, play Halo, and never negotiate with a Brute in a tie.